A quick cache'n'dash in a pretty traditional village of West Bagborough. You are looking for a small clip-lock pot which will accept small TB's or geocoins. You do NOT need to enter the church yard to retrieve the cache. If you are intending to visit the church please be aware that the path is fairly steep though even ground. At the moment the rhodedendrons are in flower and worth a visit. 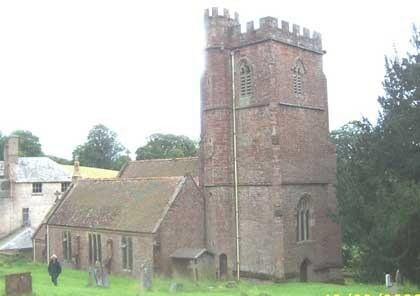 The village of West Bagborough lies in the Quantock hills, close to the main route from Taunton to Minehead. Mrs O used to pass this spot every school day when she lived in neighbouring Sevenash. The school bus would pick up children every day to take them to Wiveliscombe school. The War Memorial close to the church commemorates, among others from the village, a man known by both Mr and Mrs O from school days in Taunton. Good to see his memory continued. The Church is dedicated to St Pancras. St Pancras is said to have been martyred at the age of fourteen during the persecution under Diocletian. Born in Greece, the young Pancras moved to Rome after his father died and left him an orphan in the care of his uncle. When he was just 14 years old, Pancras was brought before Roman Governor Diocletian and asked to perform sacrificial rituals towards Roman gods. When he refused, Pancras, like many did in those days, lost his life. His body was initially buried in the Catacombs in Rome whilst his severed head was placed in a sacred reliquary that still exists in the Basilica of San Pancrazio in Rome and where his body was later taken. The Church ofSt Pancras dates from the 15th century. It has a three tiered tower. The north aisle was added in 1839 with further restoration in 1872. It has been designated by English Heritage as a Grade II* listed building. 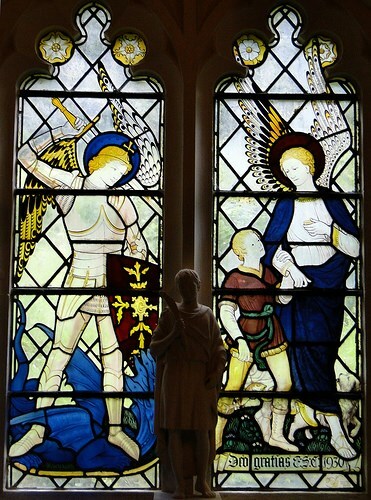 Further work was undertaken in the 1920s under the guidance of Sir Ninian Comper. The church stands high above the main village, and allegedly owes this separation to the Black Death, which reduced the population of the village to below one hundred in the fourteenth century. In an attempt to rid themselves of this plague, the villagers abandoned the original settlement and re-built, away from the church. The Lychgate is dedicated to the memory of Robert Brook-Popham. The old rectory is now known as Little Court. The feast day of St Pancras is May 12th. He is seen as the Patron Saint of children, false witness, headache, and perjury. In Spain, he is popularly venerated as the patron saint of jobs and health and often offered parsley. His image there, in statue form, can be found in many bars, restaurants and other businesses. St Augustine brought relics of the saint to England, which is why many churches are dedicated to him. St Pancras Old Church, in London is believed to be one of the oldest sites of Christian worship in England.